Lisa Rainer is a registered dietitian who began her writing career in 2004 with a review article published in the "Journal of the American Dietetic Association." She writes nutrition-focused articles for her blog, Healthful Sense, and holds a bachelor's and master's degree in nutrition, both from California State University, Northridge. Potassium has many critical functions in your body. According to the National Institutes of Health, potassium helps regulate your body’s acid-base balance, it is involved in protein and carbohydrate metabolism, and is necessary for proper muscle and tissue function. The Dietary Guidelines for Americans, published in 2005, recommends a diet rich in potassium and lower in sodium to help keep blood pressure in the normal range to reduce your risk of heart disease, stroke, congestive heart failure and kidney disease. Focus your diet on fresh, whole foods and limit the processed and refined foods in your diet. Generally, processed and refined foods are higher in sodium and lower in potassium. Typically, the freshest foods can be found around the perimeter of a grocery store and in the frozen and refrigerated sections. Add more fruit to your diet. High fruit sources of potassium include avocados, bananas, cantaloupe, honeydew, mangos, papayas, oranges, apricots, kiwis and raisins. There are many creative ways to add fruit to your diet. Add fresh or dried fruit to hot or cold cereal, yogurt and cottage cheese. Buy frozen fruit and use yogurt blended with frozen mangos and blueberries to make a smoothie. 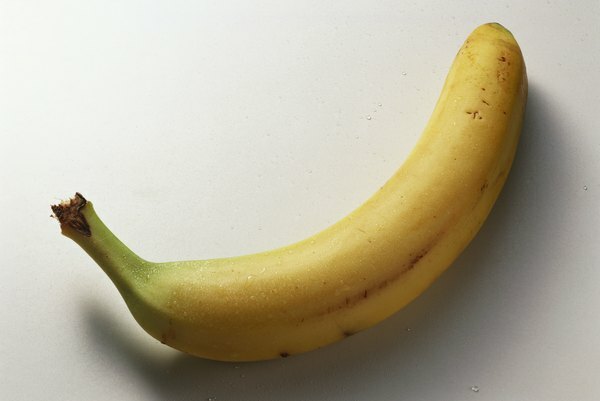 Peel and freeze aging bananas instead of throwing them away and use one for the smoothie. Put avocado slices in sandwiches, salads and wraps. Mash avocado and use it for a spread instead of using mayonnaise. Add more vegetables to your diet. High vegetable sources of potassium include tomatoes, potatoes, squash, spinach, green leafy vegetables, brussels sprouts, and pumpkin. Try to have a vegetable with each meal and snack. Make a spinach, tomato and cheese omelet in the morning. Have a salad with mixed greens, tomatoes, dried fruit and nuts. Try mashed sweet potatoes with cinnamon. Cut up raw vegetables such as carrots and celery and serve with hummus dip. Eat protein foods that are high in potassium. High protein sources of potassium include cheese, tofu, nuts, peanut butter, almond butter, cottage cheese, ricotta cheese, beans, lentils and yogurt. Mix nuts and dried fruit into hot or cold cereal and salads. Try making your own trail mix with nuts and dried fruit. Mix peanut or almond butter into yogurt or cottage cheese. Add lentils and beans to soup, salads, burritos and wraps. Mix ricotta cheese with pasta sauce and serve over noodles. Use ricotta cheese in your pancake and waffle recipes. Make your grain choices whole grains because much of the potassium and other nutrients are lost during the refining process. Vary your grain intake to include brown rice, barley, rye, quinoa, buckwheat, amaranth, millet, bulgar and spelt. Serve grains as a side dish with sauteed vegetables and chicken. Add grains to salads, soups, chili, stir frys and rice pilafs. Use whole grains when making pancakes, waffles, muffins and breads. Having too much or too little potassium in your body can have serious health consequences and needs to be address by a doctor immediately. If you have any chronic conditions or illnesses that require a change in the amount of potassium you eat or just have questions about potassium, make an appointment to discuss this with your doctor.